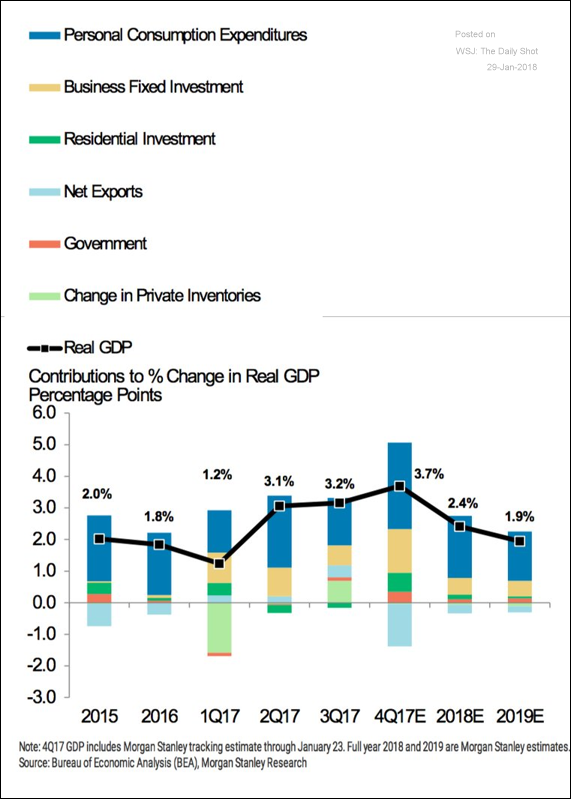 The United States: Here is the GDP forecast for the next couple of years from Morgan Stanley (that Q4 projection didn’t work out well). Economists expect consumption growth to slow as a result of the lowest savings rate in a decade. 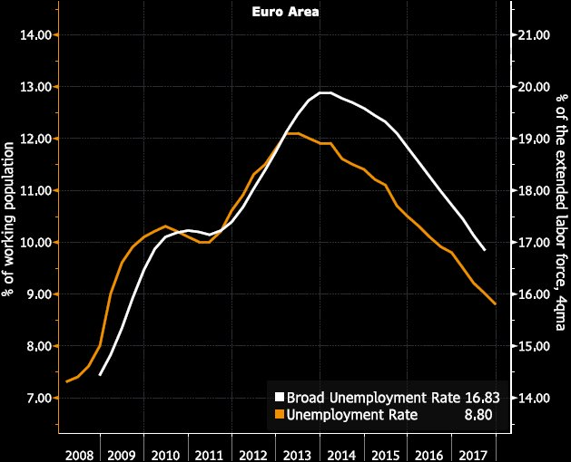 The Eurozone: The euro area broad unemployment rate (U6, which includes underemployment) continues to decline. 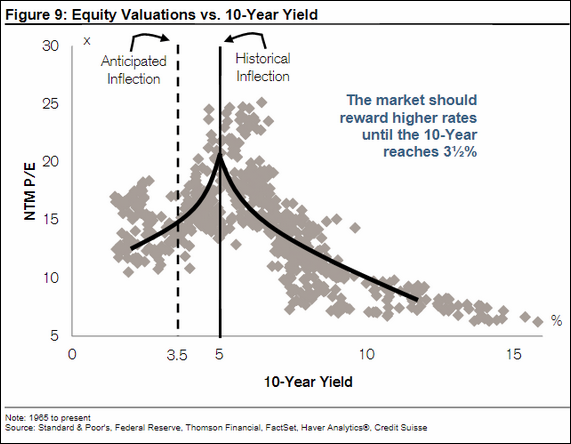 Equity Markets: There is some debate about the bond yield inflection point when valuations respond negatively to higher yields. Credit Suisse says it’s 3.5% on the 10yr Treasury. 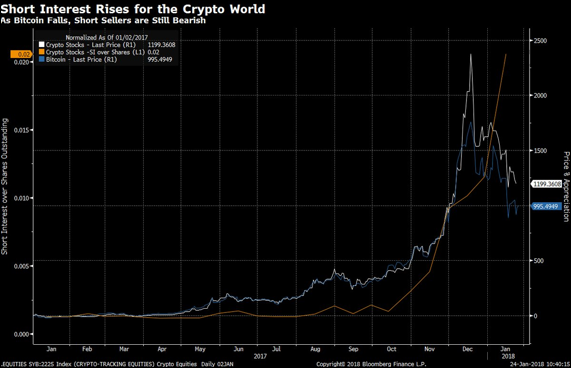 Some think the inflection yield is much lower. 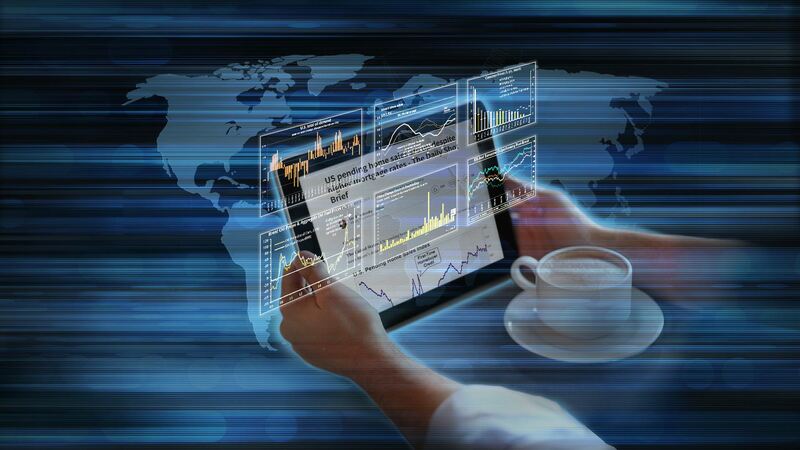 Credit: Investors are starting to become cautious on investment-grade (IG) corporate debt. 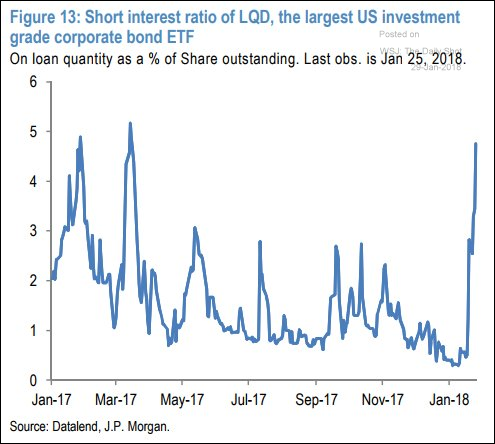 Here is the short interest in LQD, the largest IG bond ETF. 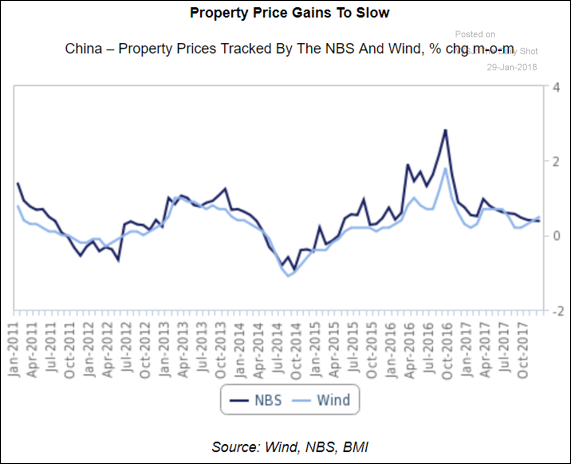 China: Growth in property prices is slowing. 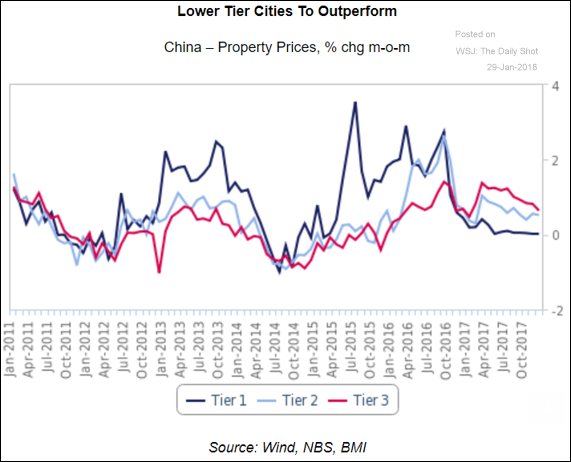 Tier-3 properties are expected to be the most resilient. 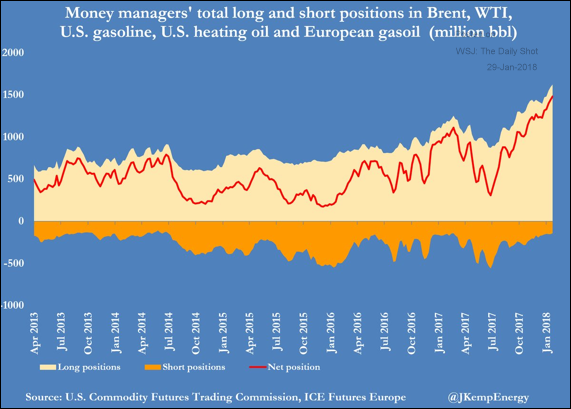 Energy Markets: The combined money manager positions across petroleum products show extreme bullishness in the sector. 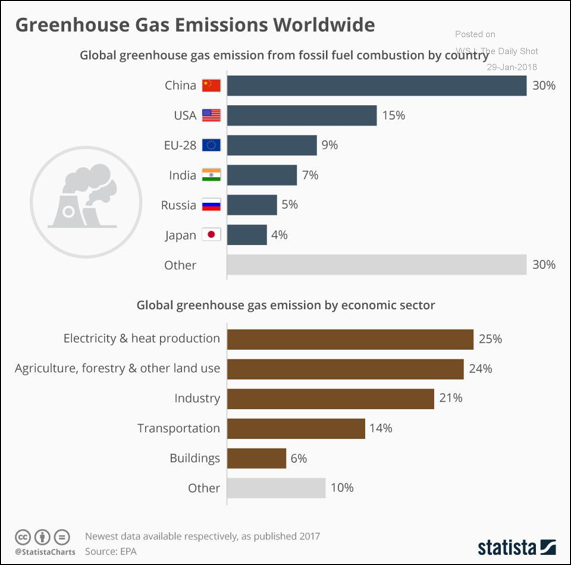 Food for Thought: Greenhouse gas emissions by source.